Ok... so its like 2:30 am Eamon is at work doing some crazy computer stuff...and I can't sleep. I tried but I'm just too excited! Tomorrow I order my wedding dress! I am going to the tailor with Eamon to get measured in the morning. He is ordering a tux! I felt bad about it because he really wanted to wear a kilt...but with a 2000 price tag for his outfit it just was beyond our budget. A 100 tux now thats a lot better! Lets flash back to last week. I woke up sun morning and just wanted to feel like a princess. 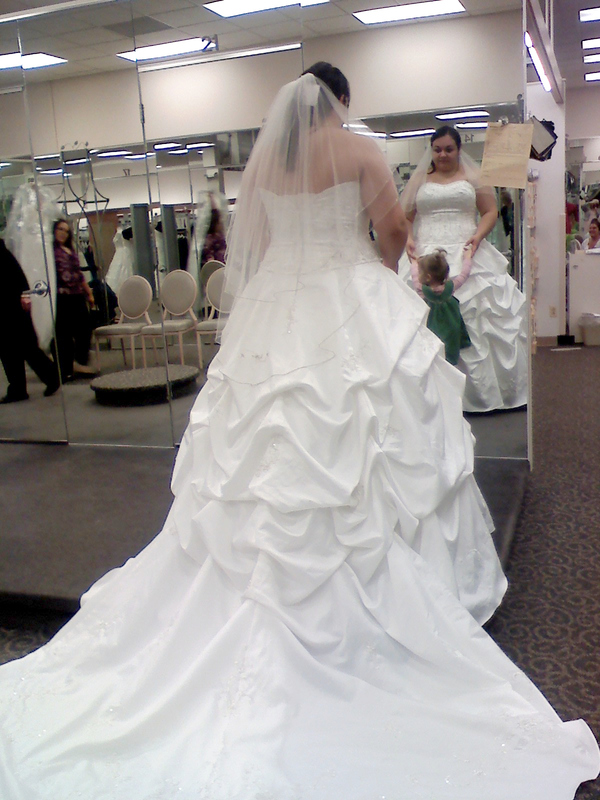 Haha not really, but I took a trip down to the bridal shop with my sisters. I had a great time. I tried on several styles of dresses and figured out what looked best on my body. Ball gown...I figured as much. So, whats the point? Well, I have decided to order my dress from China. I looked up some Chinese dressmakers and checked their reviews. I figure if over 2000 women the only negative feed back is check for pins. Then I think it will be fine. I also have seen real life pictures of the dresses. Heck $200 for my dream dress why not. 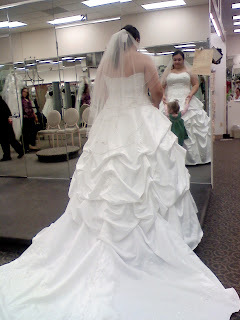 Ask to see a real picture of the dress. Time dresses can take up to six months to get! A lot of women have had positive experiences with April bridal they have an ebay store as well as a website, but look around. 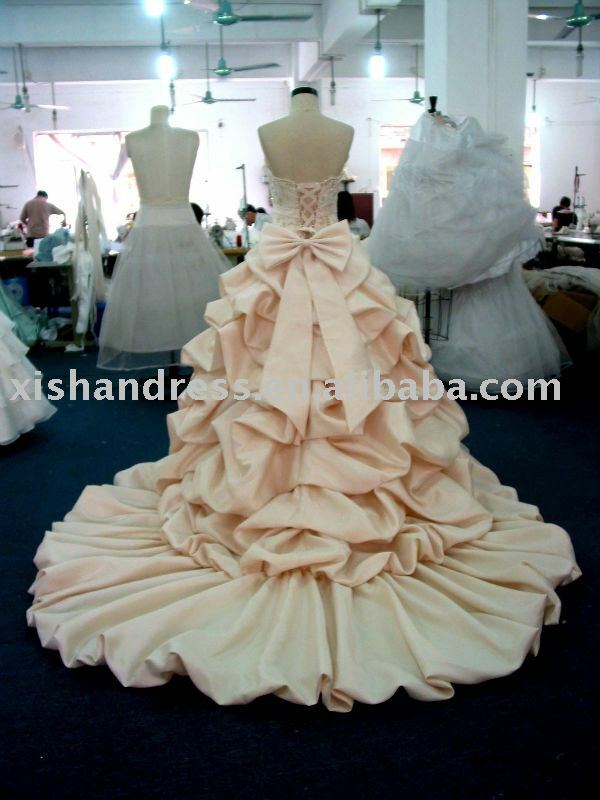 I found my dress maker on alibaba...hopefully it will be ok.